JinE left a handwritten letter announcing her dismissal from Oh My Girl, after being on a hiatus for over a year. 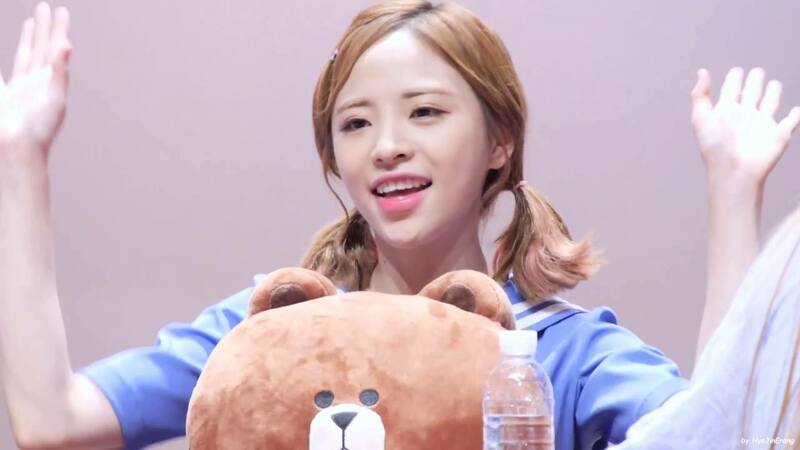 First, JinE expressed how sorry she was for her fans. She also expressed her thanks to other members. 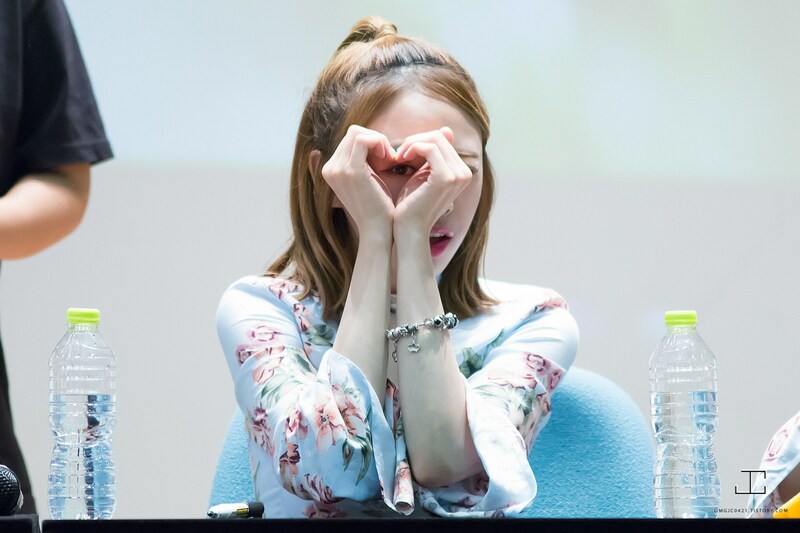 JinE was diagnosed with anorexia last August and rested since then, while other members of OhMyGirl performed without her. While resting, she took some time to reflect back on herself and decided to go back to her ordinary life before she joined OhMyGirl. She also expressed her hopes to be remembered by her fans. In addition to JinE’s letter, OhMyGirl’s company WM Entertainment announced that OhMyGirl will continue to perform with 7 members and to support JinE in her new dreams. Following is her handwritten letter. How have you been? It has been a long time but I was able to spend a good time because of all the support that you guys showed me! I spent endless time alone thinking and worrying about many things, but because of all the support that Miracle and members of OhMyGirl showed me made me strong. I always received so much love from Miracle and all my days spent as a member of OhMyGirl was like a dream for me. I am so sorry and thank you. I am very sorry and thankful for OhMyGirl members. They were always there for me and kept Oh My Girl together while I was away, waiting for the day to perform together as as a whole. Everyone must be surprised by this news, but OhMyGirl members were so supportive of this decision. I dreamed of becoming a singer for a long time, so I really wanted to do well, but I had physical and psychological difficulties. So I took some time off to reflect on myself and came to this decision. This will be my last farewell as a member of OhMyGirl. I will go back to have an ordinary life as Shin Hye Jin and try different things that I can explore at my age. It is heartbreaking because I know how Miracle will feel about this decision, but the time spent as a member of OhMyGirl will stay forever as a precious memory. 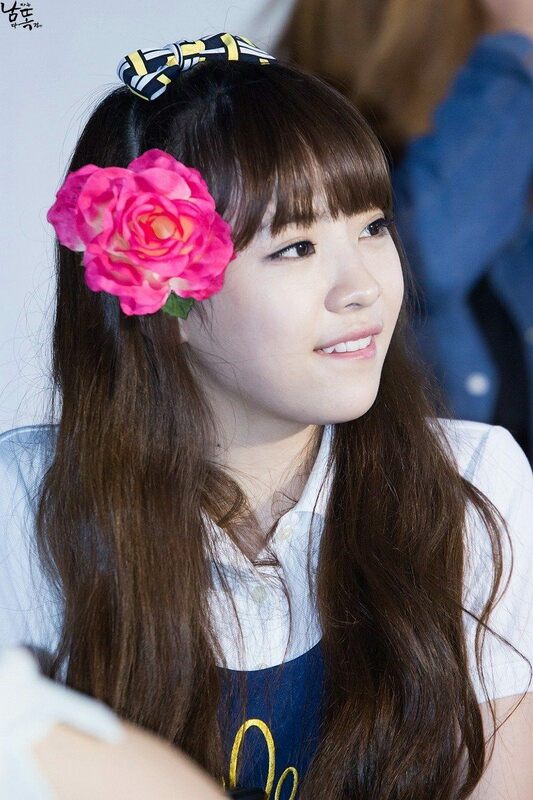 I hope to be remembered as the second eldest member of OhMyGirl, CCTV and a lovely vocal JinE who is always happy and healthy. It will be a big support for me thinking that Miracle is always cheering for me. OhMyGirl! Hyojung, Mihyun, Sia, Seunghee, Jiho, Yoobin and Yewon.. It is really good to look at you guys shining with unique colors, and growing together with Miracle who protects OhMyGirl with love. Sometimes my tears will drop because of all the memories that I will remember as a member of OhMyGirl, but I will always be cheering for OhMyGirl. I will no longer be JinE of OhMyGirl but please support me and my new dreams. and please show warm support and love to OhMyGirl. Lastly, thank you for the members of OhMyGirl, Miracle, family, friends and WM Entertainment for always being there for me.